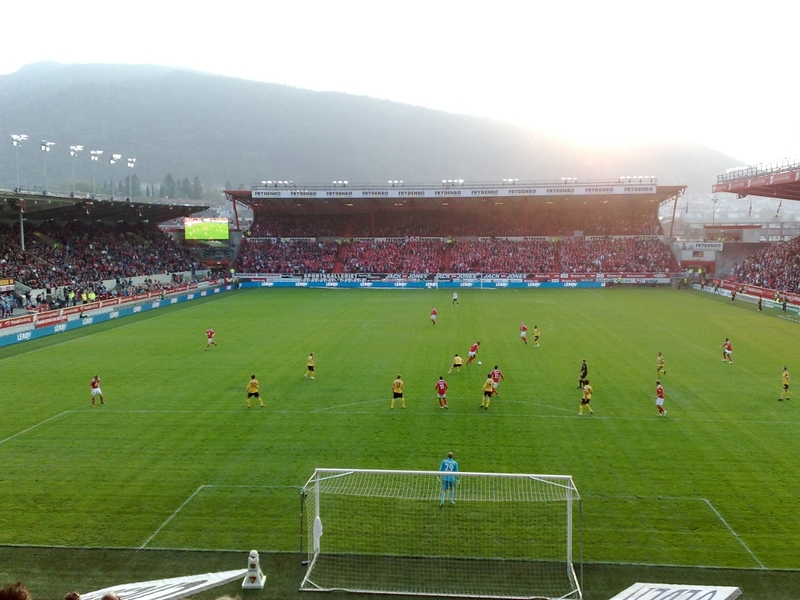 I was at Brann Stadion yesterday and watched my local team play against Lillestrøm, its always a great pleasure to sit there and watch – over 15000 people makes a lot of fun mood. Especially when they win, like they did this match. Sometimes I forget watching the game and studies the people instead – its worth a doctor degree. 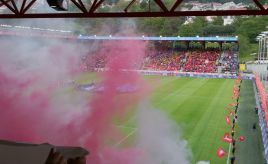 People change when they enter the stadion – its like everyone becomes a little hooligan. Its weird but fun. It was a beautiful evening, football in sunset.